(LAWRENCEVILLE, GA) -- The Charlotte Knights dropped game two of their four-game series to the Gwinnett Stripers by a score of 2-1 on Saturday night from Coolray Field in Lawrenceville, GA. The loss evened up the 2018 season series between the two teams, 10-10. Charlotte LHP Colton Turner (0-2, 4.76) was the hard-luck losing pitcher on the night. Turner, who made his third start of the season with the Knights, allowed two runs on four hits over five solid innings pitched, but was saddled with the loss. He walked two batters and struck-out four. RHP Carson Fulmer tossed two shutout innings in relief of Turner, while RHP Brandon Brennan added a scoreless inning. The Knights jumped out to a 1-0 lead in the third inning thanks to an RBI single by right fielder Ryan Cordell . The single helped Cordell extend his hit streak to 10-consecutive games. 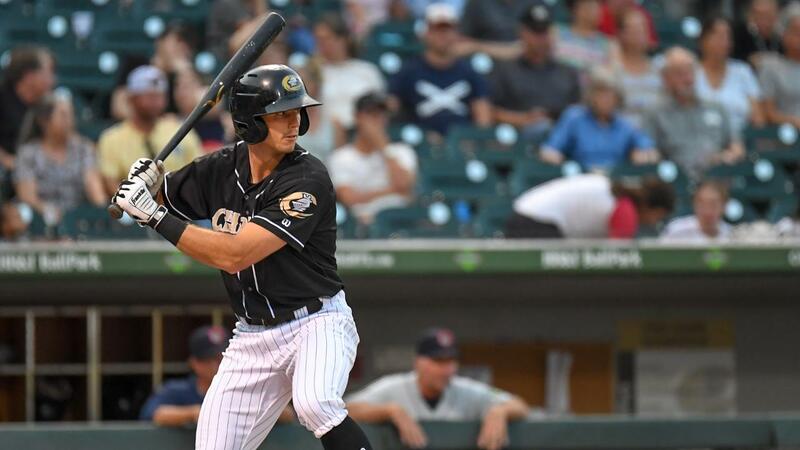 In all, the Knights tallied four hits on the night against Gwinnett. RHP Wes Parsons (7-4, 3.27) allowed just one hit over six innings to earn the win. Gwinnett scored their two runs in the bottom of the fifth inning on a two-run single by shortstop Luis Marte. A total of three Gwinnett relievers combined to hold the Knights scoreless over the final three innings. RHP Jacob Webb notched his 11th save of the season in the ninth. The Knights will continue their four-game series against the Stripers on Sunday afternoon with game three of the set. Pre-game radio coverage of the 1:05 p.m. game will begin at 12:50 p.m. on 730 The Game ESPN Charlotte. The "Voice of the Charlotte Knights" Matt Swierad will have the call for all of the action.